Modifying CNC machines to work faster and boost productivity is a top priority for many manufacturers. After all, any efficiencies generated on the floor lead straight to the bottom line. 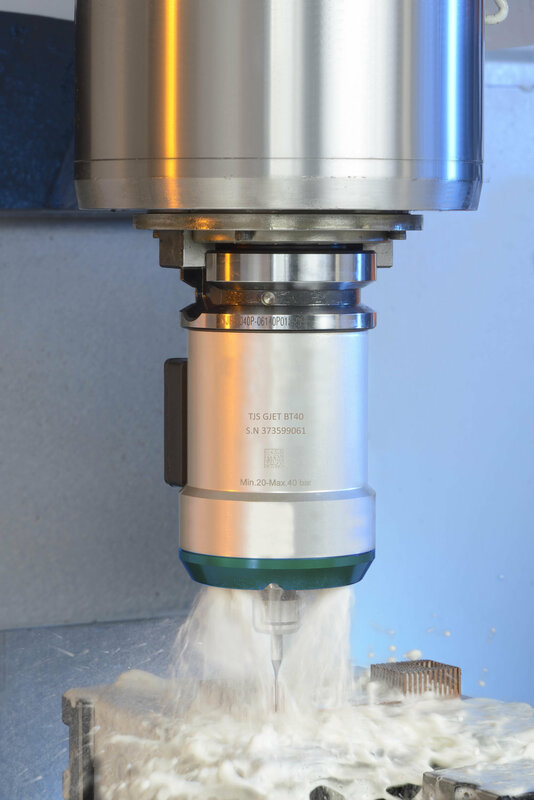 Looking for a quick, cost-effective solution – consider a high speed machining spindle. Demonstrators available! Want to try it, contact us! The benefits of using high speed machining processes are hard to ignore. If you can machine faster, you can increase output and profitability across all applications. When a high speed spindle was used for thread milling on a SAE 4340 work piece, per part machining time was cut by 70%. In a different application – milling a mold of D2 material – high speed spindles cut overall machining cycle times by over 60% and the polishing process time was cut in half. While your results will vary from application to application, machine time will decrease dramatically. To change standard equipment into a high speed CNC machine, try to limit modification work from the start. For example, we designed our high speed machine spindle to be plug and play. Simply attach the Colibri high speed spindle to your existing spindle and your work is done – it will utilizes the machine coolant system to reach higher RPMs. Other solutions require companies to install an external sophisticated air supply system or draw additional power from the machine to increase speed. To avoid workflow disruption, choose a compact solution that can utilize the machine’s ATC and can be stored in the tool magazine of the machine. Many of the old style speed increasers are too clunky to fit within these systems. Modifying existing equipment to yield productivity comparable to high speed machining allows you to increase output without have to acquire additional machinery. Although ROI will vary from company to company, the efficiency benefits of high speed CNC machine will quickly improve your bottom line. Source: Blog /Colibri Spindles ltd.